I can never understand the German language let alone pronounce it right. 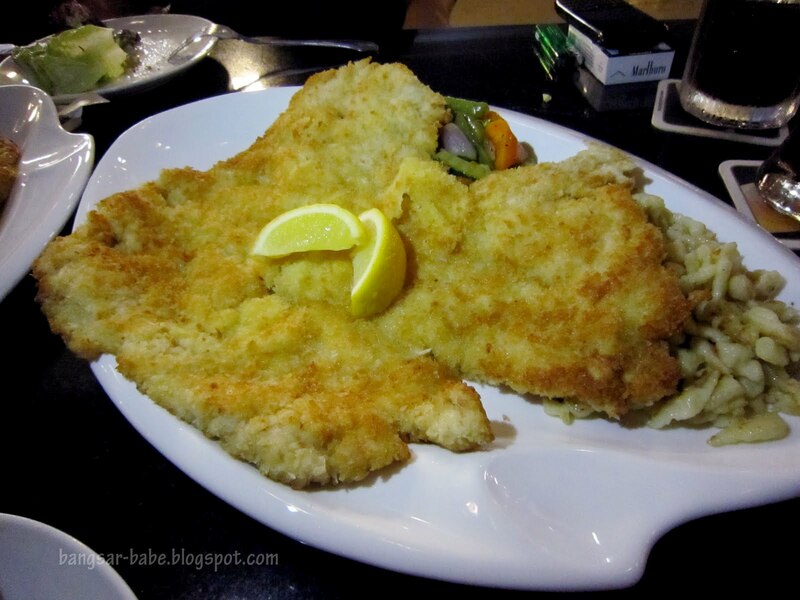 While the language is alien to me, German food remains as one of my favourite cuisines. The flavours, textures and of course, large portions. 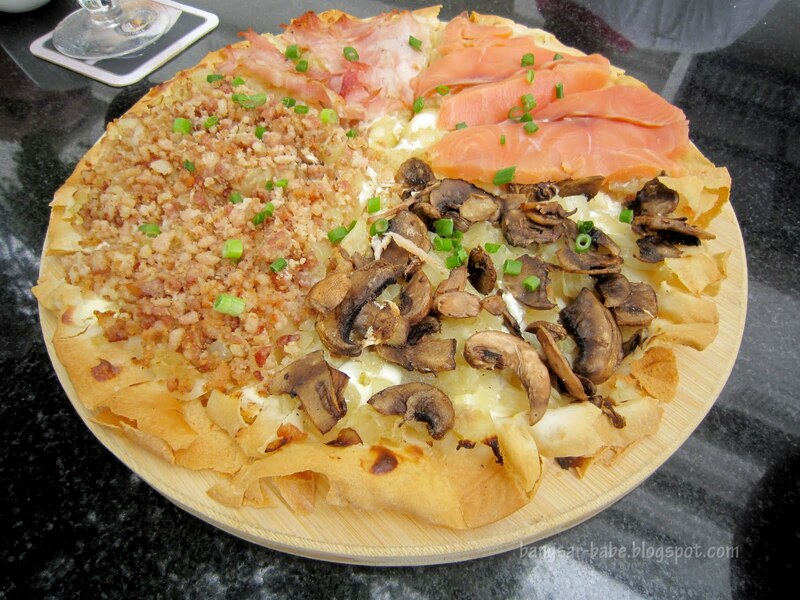 What’s not to like about Bavarian servings? 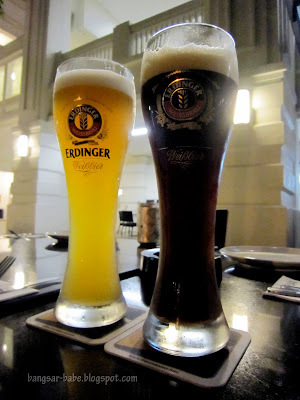 Weissbräu at Straits Quay has one advantage over most German restaurants in Klang Valley – they make their own sausages with sheep casing. Sheep casing is very thin and breaks easily, but it also gives the sausages a delicious crisp. 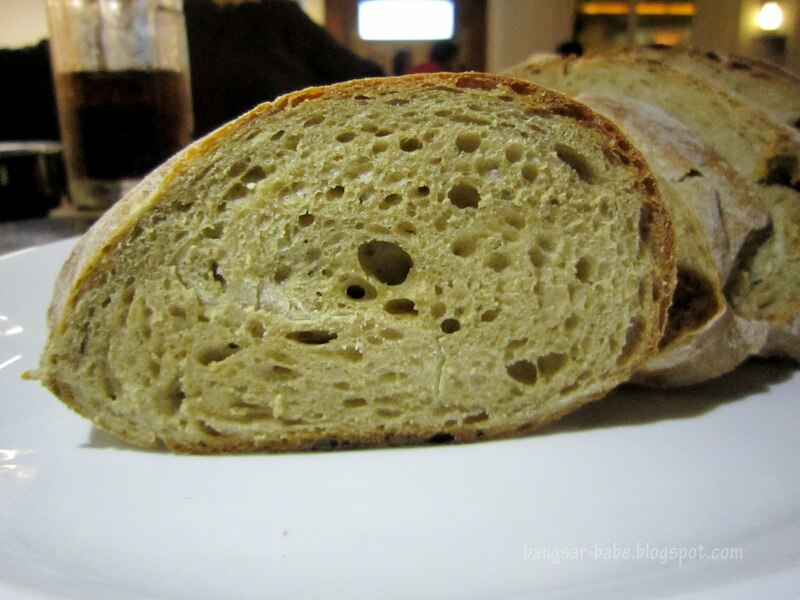 The sourdough bread was freshly baked and served with butter. Salted butter would have paired better with the bread, but since the bread was tasty enough on its own, I let this slip. 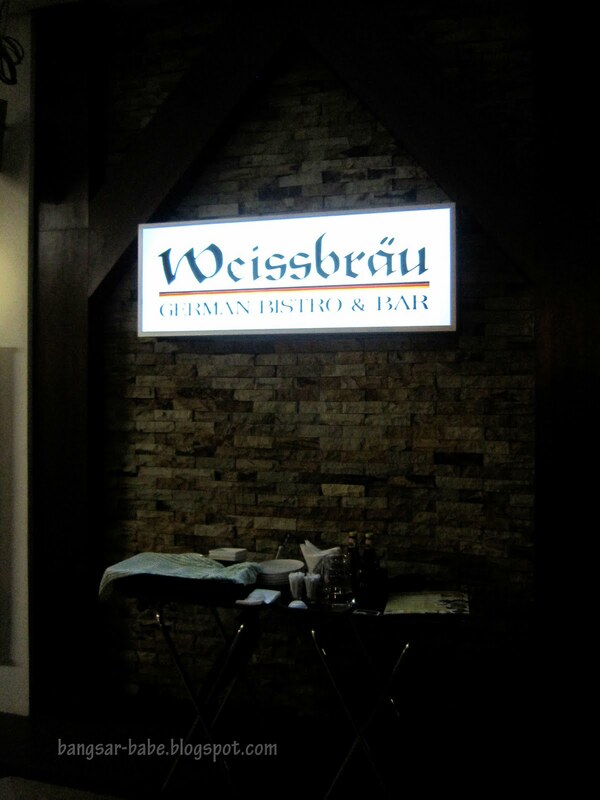 I’ve never been a fan of Caesar salad but Weissbräu’s version made me a convert. 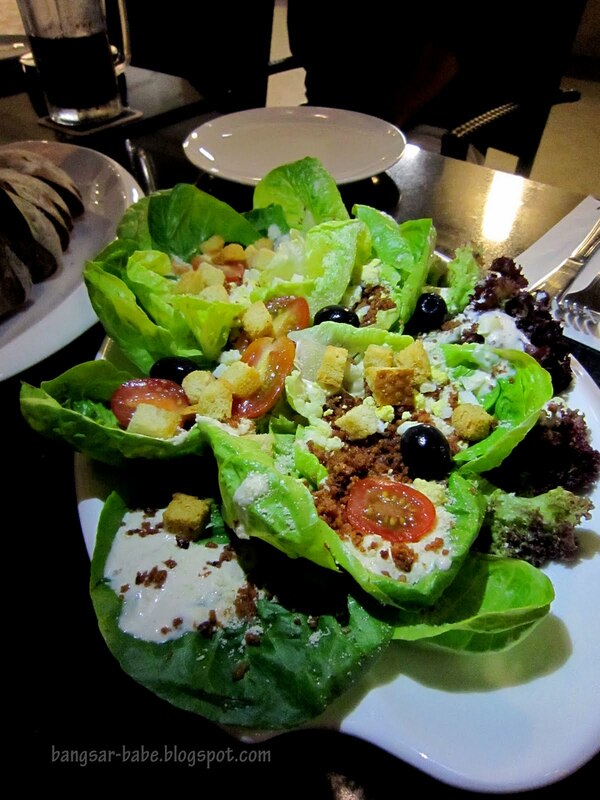 The greens, slicked in creamy dressing were topped with chopped hard-boiled egg, bacon bits, crunchy croutons and generous sprinklings of grated Parmesan. 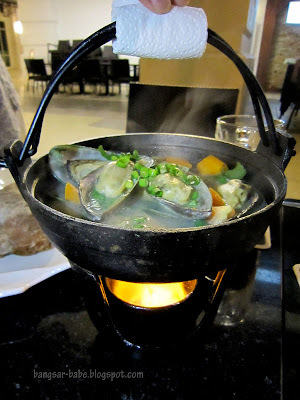 I spotted the table next door having the mussels seaman’s style and decided to follow suit. Simmered in light broth, the mussels were fresh and sweet. I enjoyed this, but not as much as I enjoyed the Flammkuchen. 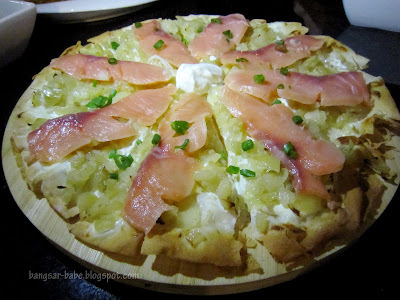 Between the smoked salmon and parma ham version, I liked the former. The thin, crisp crust was delicately covered with smoked salmon, onions and a dollop of sour cream at the centre. I found the parma ham Flammkuchen pretty good as well — this was heavier and richer in flavour. Weissbräu’s pork knuckle was oh-so-moist and tender. Cured in brine and deep-fried till crispy, we all enjoyed this. 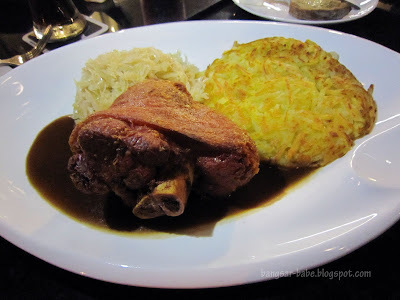 Portion didn’t seem like much, but the huge serving of sauerkraut and rosti filled us up quickly. The Wiener schnitzel (RM34) was massive, and came with a side of buttered vegetables and plain spaetzli. 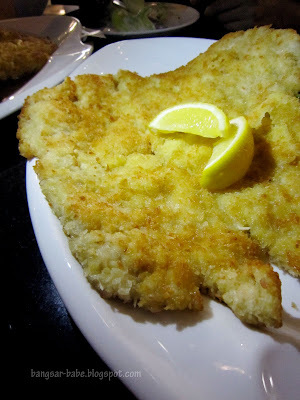 It had a crisp exterior, firm breading and was tender inside. Some people might find this a tad dry (that’s how it’s normally eaten in Europe), so ask for some brown gravy to give it a bit of moisture. I liked it just the way it was. The spaetzli can be ordered as a dish on its own — you can have it plain or cooked with a choice of ham, cheese, mushroom or carbonara sauce. 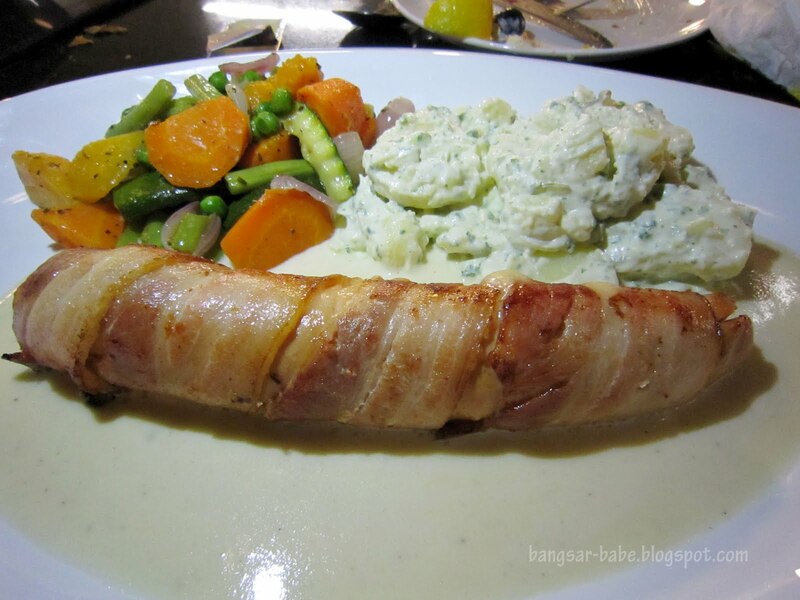 Bacon-wrapped cervelat is a Swiss dish that combines ground pork with various mixtures of herbs and spices. This was large, moist and soft, with the crisp bacon giving it texture and flavour. I loved the chunky potato salad it came with. 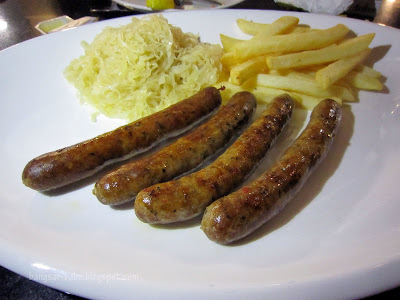 Unlike the cervelat, the chilli sausages (made in-house) were smaller in size but denser in texture. I enjoyed this – the sausages packed a good amount of spiciness and went well with my cold beer. The fries were crisply fried and addictive. I couldn’t stop stuffing my face with them. Also delicious were the herb sausages (made in-house), made using fresh oregano, thyme and rosemary and stuffed in sheep casing. 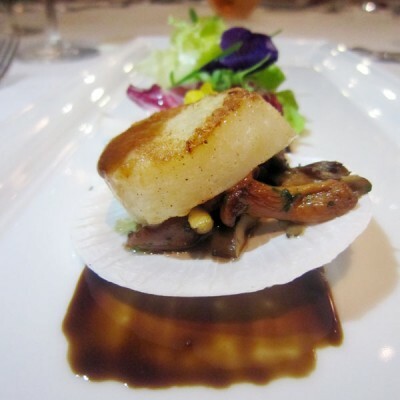 For something that small, they packed a wallop of flavour. 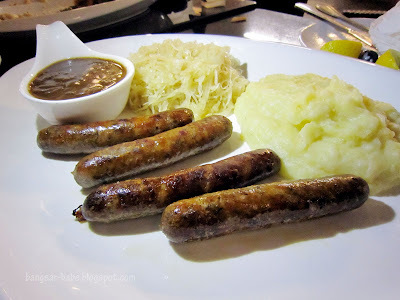 Clearly, good things come in small packages — *ahem* I’m referring to the sausages at Weissbräu. My eyeballs nearly popped out when I saw the crushed peppercorn sausage. 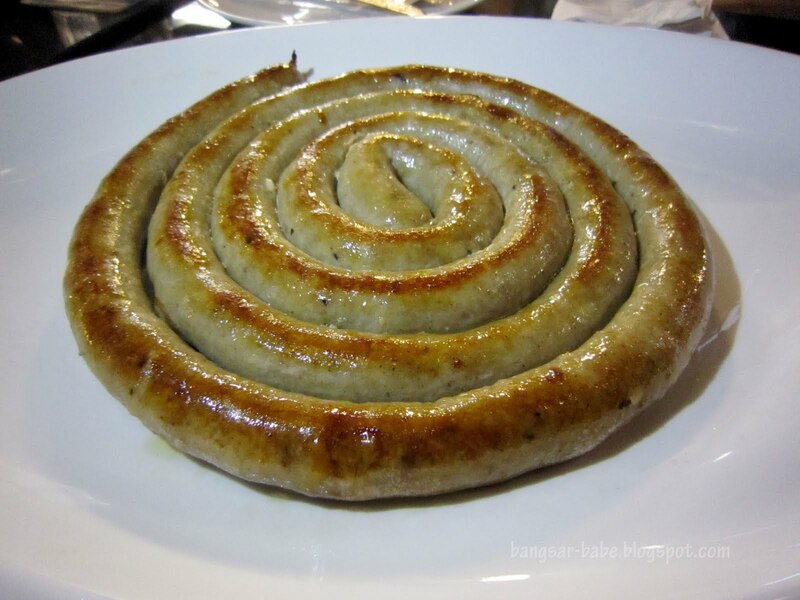 The coiled up 1.5 metres long sausage was sightly obscene-looking but tasted delicious especially with a bit of mustard. The pepper flavour was light yet pronounced in every bite. Good stuff, I kid you not! Desserts were the Hennessy chocolate mousse (RM14.80) and the apple strudel (RM14.80). The mousse had a creamy texture with a deep flavour from the chocolate. 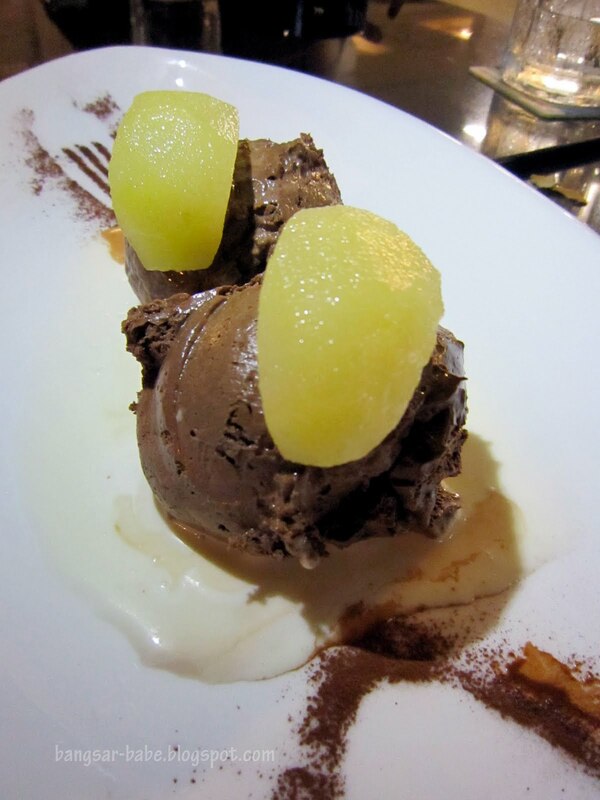 I didn’t care much for the poached pears, which tasted a bit lost in the combination. Ever since that disastrous strudel in Vienna, I’ve always been wary of strudels served at German restaurants. 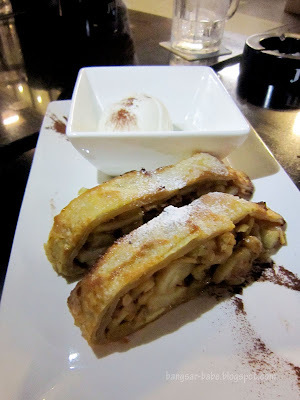 Weissbräu’s apple strudel came with a scoop of vanilla ice cream and a light dusting of icing sugar. 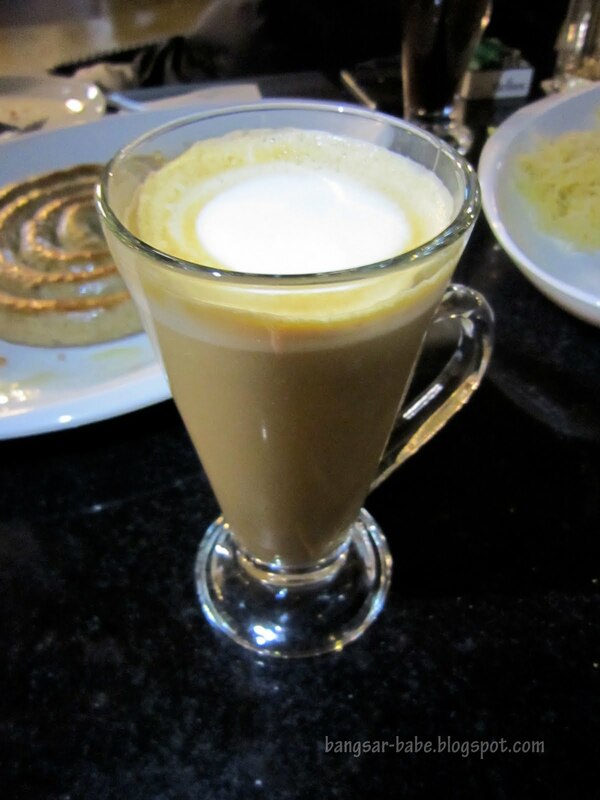 The pastry was light yet firm, and the filling was aromatic from the cinnamon. 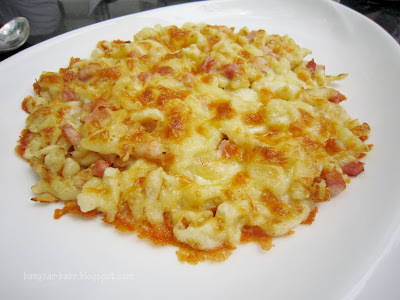 I ordered the ham and cheese spaetzli (RM24) for brunch the next day, and it tasted quite decent.They were pretty generous with the cheese and ham cubes. 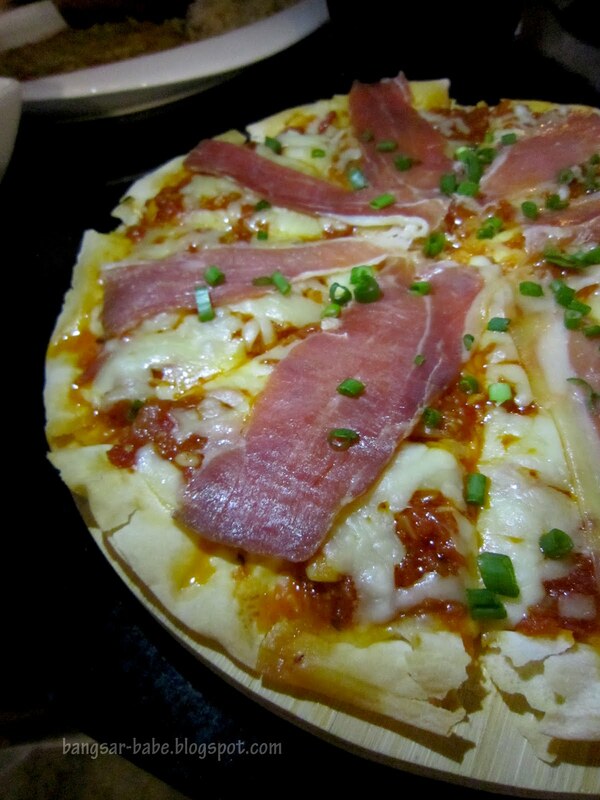 For small eaters, it’s best to share as even I had trouble finishing this. 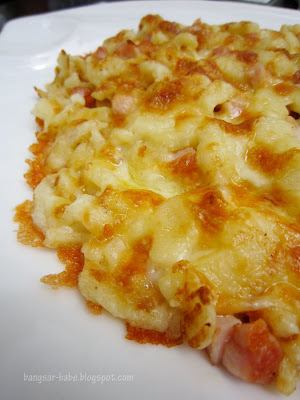 One of my friends had the bacon, cheese, ham and egg rosti and it was absolutely delicious. I regretted not ordering this. The Flammkuchen was specially prepared for us that day – 4 quarters of mushroom, smoked salmon, bacon and onions, and chicken. 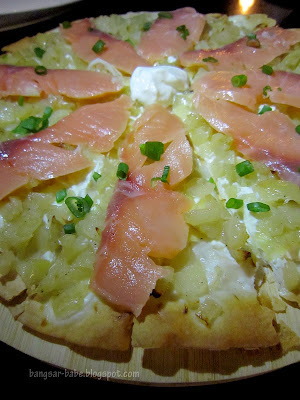 All were tasty, but I still liked the smoked salmon best. 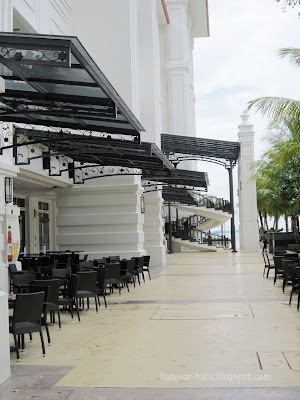 Verdict: The pork knuckle and sausage platter is a must-try. 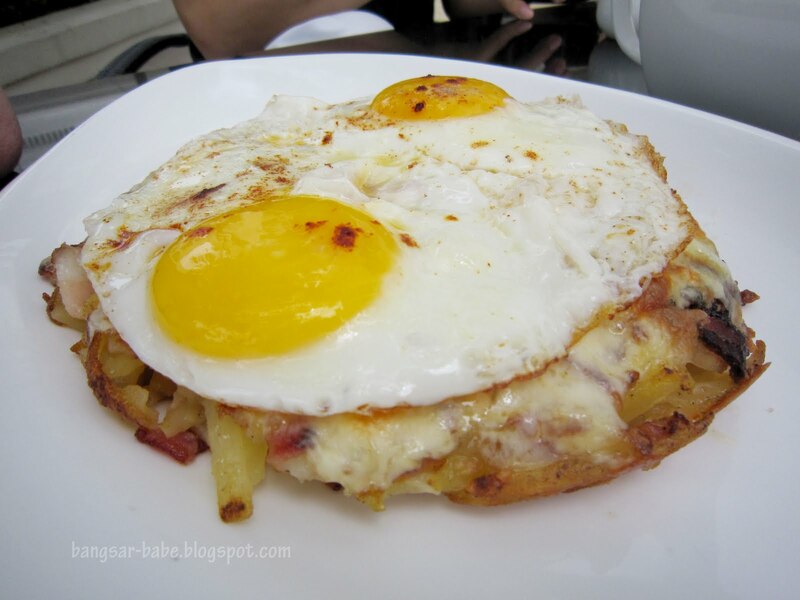 I’m also planning my next visit to the Pavilion outlet for the bacon, cheese, ham and egg rosti! Obscene!!? Now now … what were YOU thinking! ps – You only like German food cos' its pork wrapped in pork, served with pork. SLURPS!!!! Great photo’s of great food – but what about the beer?? ?